Friends of the IDF, Western Region returned to Beverly Hills to fundraise $31 million by showing the impressive work they do with and for IDF soldiers, current and veterans. 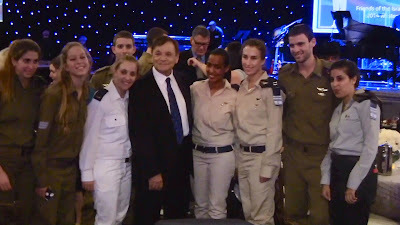 As filming was prohibited at this year's ceremony (which featured a performance by The Beach Boys, curated by producer David Foster) at last year's ceremony, US Army Master Sergeant Select Greg Grutter of "Heroes to Heroes" demonstrated an example of the Israeli-soldier-support services that philanthropists Haim Saban and Leo David advocate for. F.I.D.F. brings actual soldiers, male and female, to meet Americans and share their perspectives as free-societies trying to defending ourselves from the Islamist revolution. 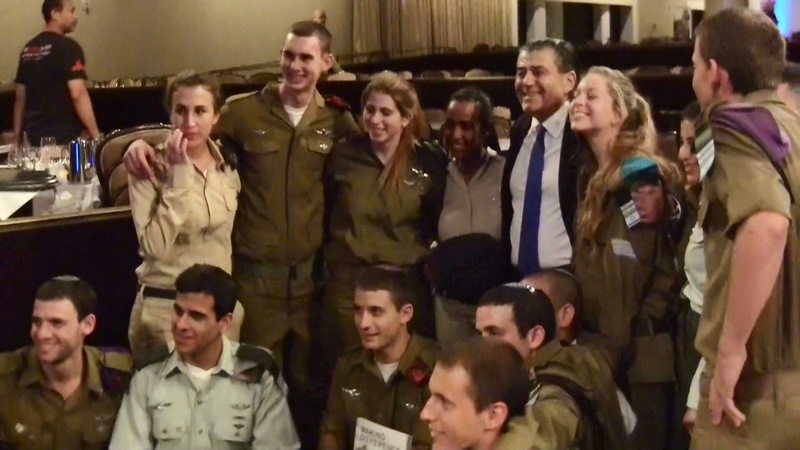 JewTube has chronicled some of the entertainment which attracts donors to the frequently, sold-out fund-raiser. Enjoy the entertainment from our previous FIDF coverage.